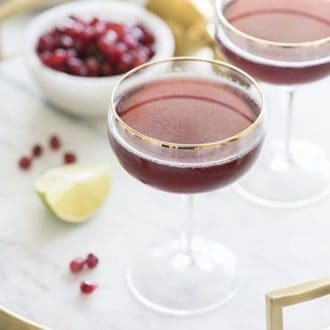 Liven up your next get together with a batch of pomegranate martinis! This crisp cocktail has the perfect balance of sweet and tart and boy is it deceptively smooth. How do You Juice a Pomegranate?? Start by scoring the skin of the pomegranate, then pull the pomegranate apart. Remove the seeds. The cleanest way to do this is by submerging the fruit under water and breaking it apart with your fingers. Seeds will sink and the pith will float. Remove the white skin and peel then drain the rest and you’ll have nice seeds with no red hands and ruined clothes! I juice my seeds by using the back of a spoon to press them against a strainer over a small bowl. Refrigerate the juice if not using immediately. Substitute the orange liqueur for Chambord to add notes of raspberry. Add an herbal infusion! 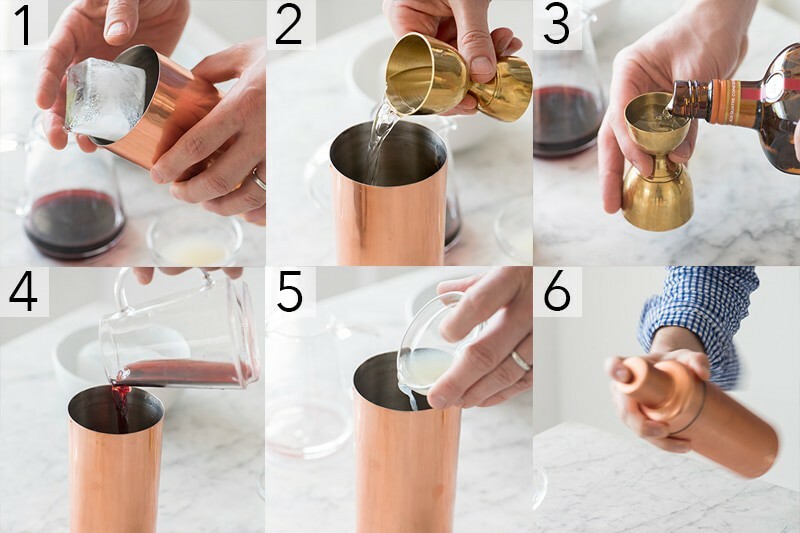 Toss a bit of mint or thyme into the shaker to add an extra layer of flavor to your drink. Give it a spritz! Add a nice dash of soda water and/or serve on the rocks to lighten the drink up and tone that alcohol down. If you can’t get ahold of fresh pomegranates you can use bottled juice. It will be good but fresh is ALWAYS better! 1.) Juice your pomegranate. Add ice to shaker. 2.) Add 2 fluid ounces of citron vodka to the shaker. 3.) Add 1 fluid ounce of Cointreau, or Grand Marnier to your shaker. 4.) Add 2 fluid ounces of fresh pomegranate juice. 5.) Add 1/2 a fluid ounce of fresh lime juice. 6.) Shake well, and strain into cocktail glasses. 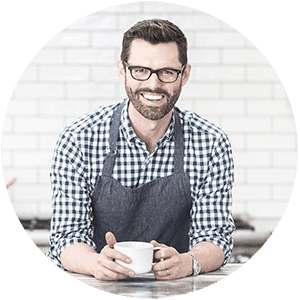 I LOVE coupe glasses for their classic look. 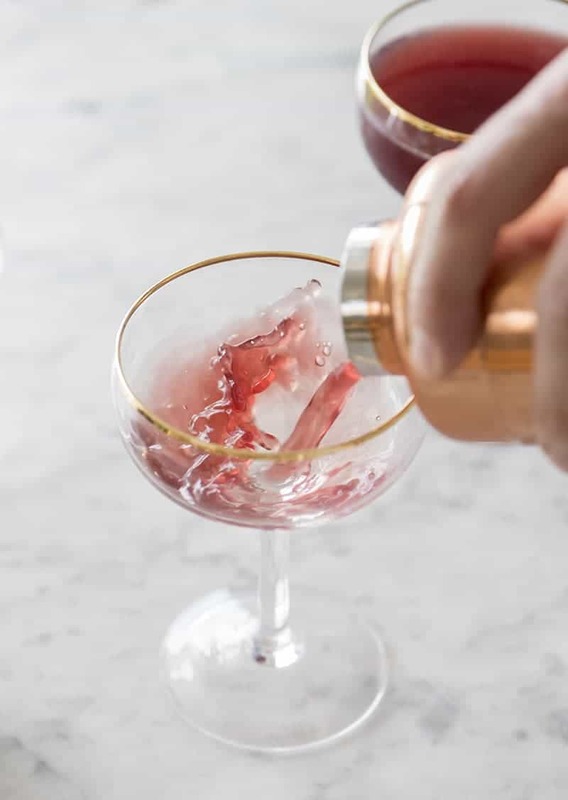 If you’ve tried this cocktail then don’t forget to rate the recipe and let me know how you got on in the comments below, I love hearing from you! 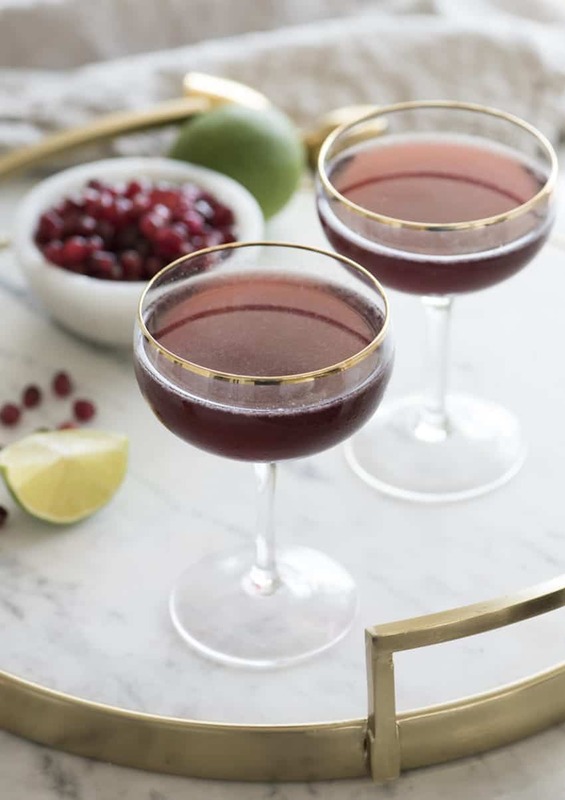 Made with fresh pomegranate and lime juice, and having a perfect balance of sweet and tart, this deceptively smooth cocktail is a must-make libation! 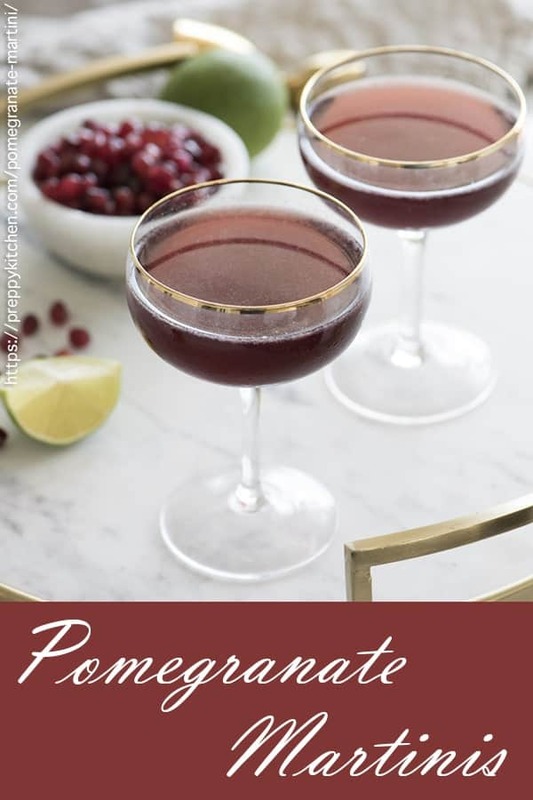 Pour 2 fluid ounces citron vodka, 1 fluid ounce Cointreau or other orange liqueur, 2 fluid ounces fresh pomegranate juice, 1/2 fluid ounce lime juice. Shake well, pour, and enjoy! For best results try to use fresh juice, it will make a huge difference! This cocktail is so delicious!